Sergeant Peter Lyle Valencich was born on January 1, 1947 in Ann Arbor, Michigan to Mr. Joseph and Mrs. Naomi Gidley Valencich of Manchester, Michigan. Peter is a 1965 graduate of Manchester High School where he was a member of the Varsity Basketball Team. He was employed with the Double A Product Company in Manchester before entering the Army on May 16, 1966. He went through Basic Training at Fort Reily, Kansas, and was awarded the medal for the highest scorer on the Army's Proficiency Test while in Basic. Sergeant Valencich began his tour of duty near Tan Tru, South Vietnam on December 1, 1966 serving as an infantryman with A Company, 2nd Battalion, 60th Infantry, 9th Infantry Division. Peter was awarded the Bronze Star Medal for heroism in action having carried a helpless wounded comrade 75 meters to safety from an unprotected open area. He was killed on May 22, 1967 when he was helping to clear a mangrove by burning reeds when the fire set off a friendly mine. Peter Lyle Valencich is survived by parents, a brother, and four sisters. He lived 20 years, 4 months and 21 days. He is resting in the Oak Grove Cemetery in Manchester, Michigan. Peter's name is listed on the Vietnam Memorial in Ypsilanti Township under Manchester. His name also appears on the Vietnam Memorial in Washington, DC on Panel 20E Line 088. I remember playing mud pies with you as we were growing up. I remember when you moved away to live on a what seemed like a huge farm. I remember going to the Manchester Speedway on the farmwagon. I remember going "Frogging" and watching your Mom churn butter. I remember the day we got the phone call that you had died. I was fifteen years old. I still remember. Thank you for what you did for us. 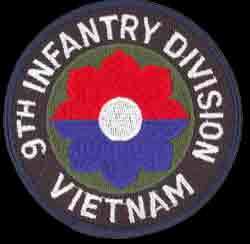 Sgt Valencich was in my platoon (2nd Plt, A Company,2nd/60th Infantry, 9th Infantry Div). He was one of the best men that I have ever known and the very best soldier that I have known. Peter was unselfish, kind, gentle, brave and patriotic. I have never understood why God took him from us, maybe because he was too good to remain here. I will never forget Sgt Peter Lyle Valencich.